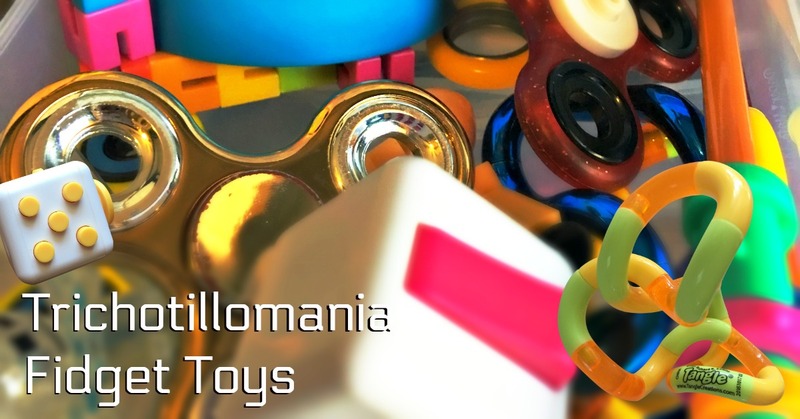 An Ever Expanding List of Fidget Toys for Trichotillomania! 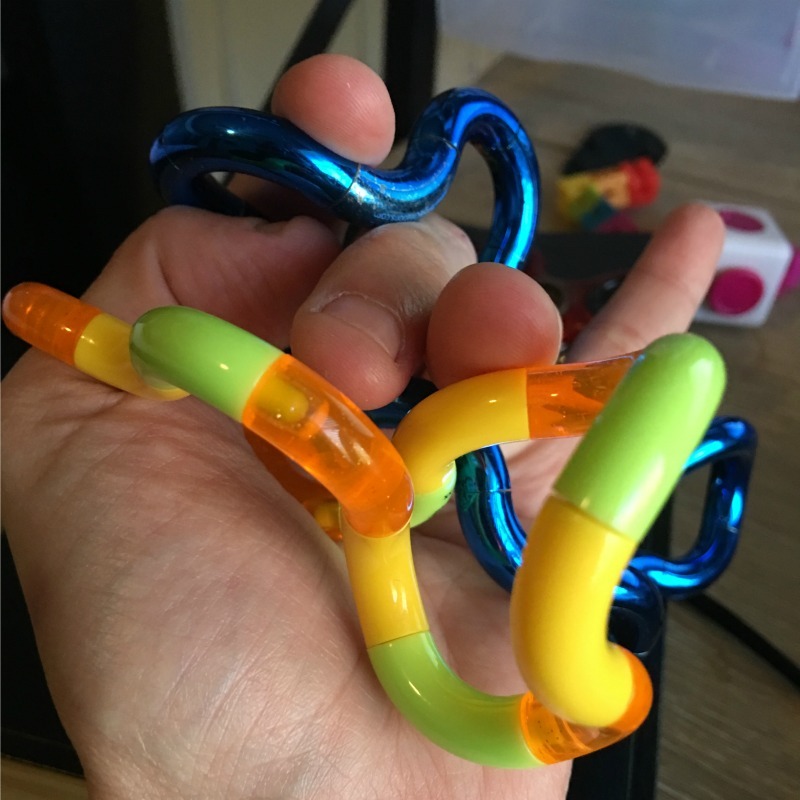 My Expanding List of Fidget Toys for Trichotillomania. I have a ton of fidget toys because when I purchased my Keen bracelets, I knew I was going to need things to divert my attention too so I loaded up! There are just so many great fidget toys for Trichotillomania anymore that I don’t have room on my desk or in my purse for them all. 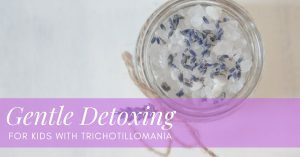 I love that there are a lot of different ways to divert my attention to something so small and “fidgety” – everyone likes something different, you know? They don’t cost very much so you can try them out.. 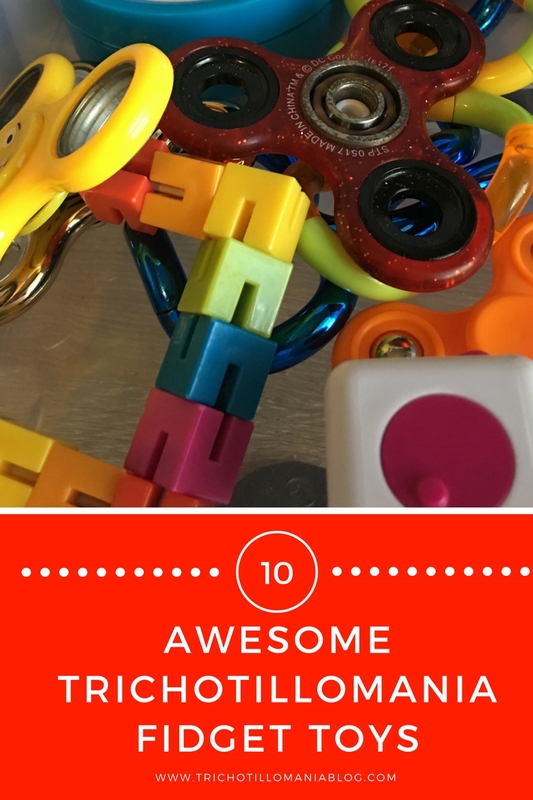 This is going to be an ever growing list of fidget toys for Trichotillomania… because I’m always hearing about cool ones to try! Some of them are just like, “duh, obvious!” and some of them are going to make you go…”OMG! Where did you get that” (and I’ll tell you). 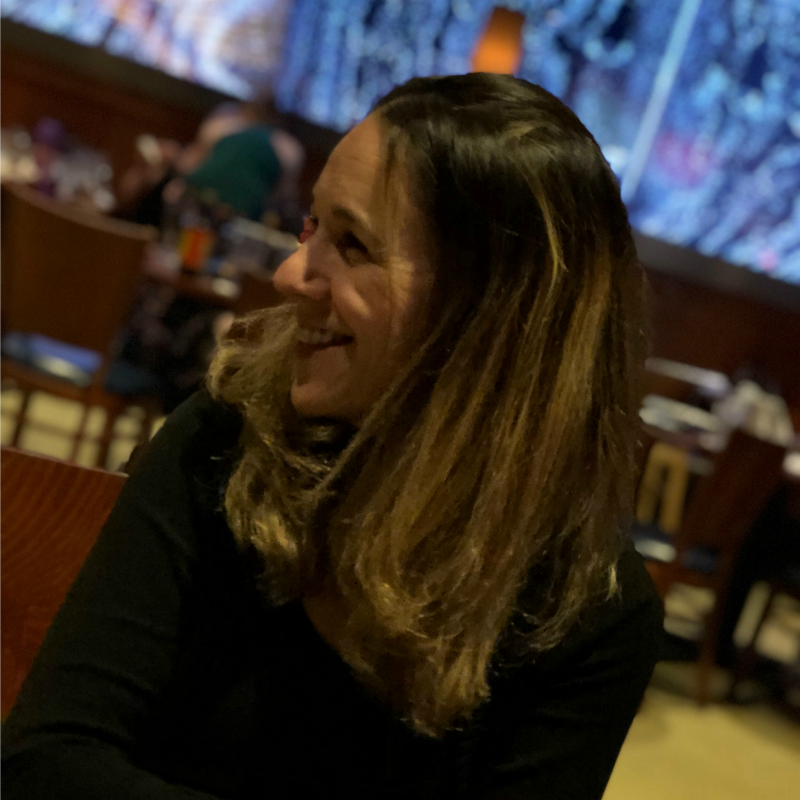 I happen to be a huge fan of the Tangle because it twists and breaks apart, like split ends (which I have a thing for). Just the way that it twists all up feels good and satisfying. It’s one of my favorite trich toys ever! Tangles can be found just about anywhere, they are online at Amazon and also at Walmart as well as Target and some pharmacy stores too. 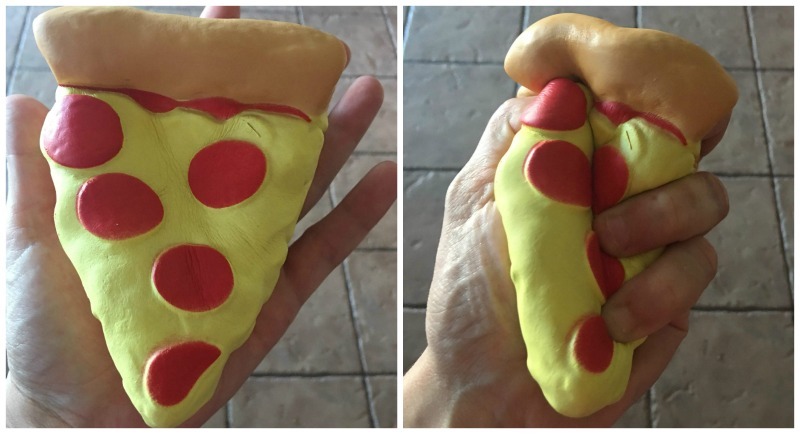 My kids bought me this squishy pizza for Mothers Day because they know I love fidget toys. 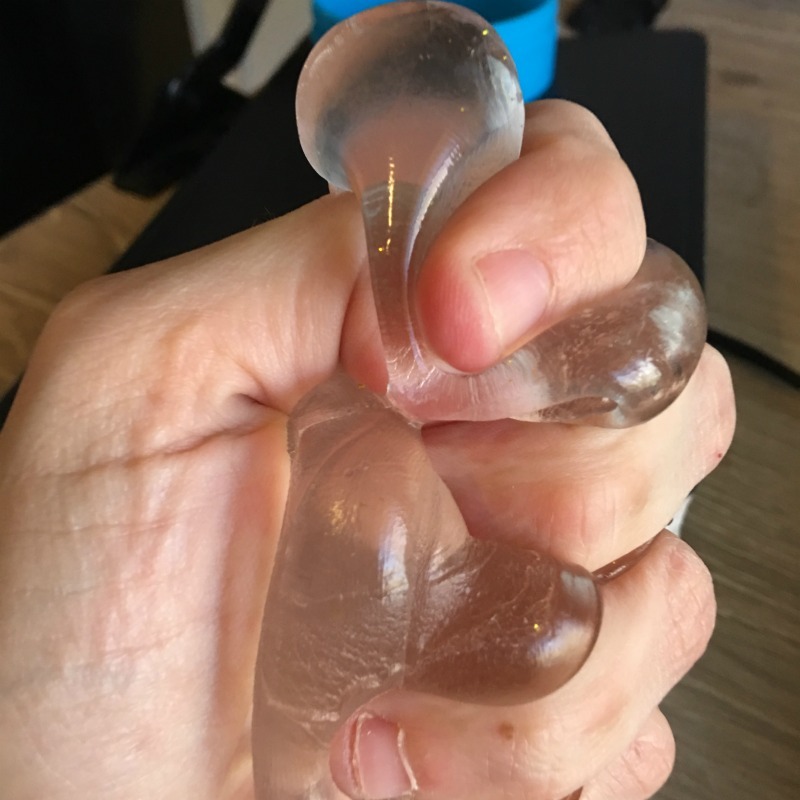 This thing is awesome, it’s SO squishy and squishy feels really good in my hands. They kids bought my squishy pizza at Walmart, there’s a bunch of them on Amazon too. I love fidget spinners! They are simple yet so amazing to watch and see spin. I personally like lighter, plastic spinners over the heavy metal ones. The light up ones are cool too but I still am a huge fan of the simple three-sided spinner. The fidget spinner isn’t one of those trich toys that I can play with publicly without being seen, so it’s not my preferred choice for social situations. At home at my desk or in my car is one thing but I rarely take this one in my purse for outings. You can pretty much find these anywhere too, they even carry them at my local grocery store. Amazon has some rad ones too. 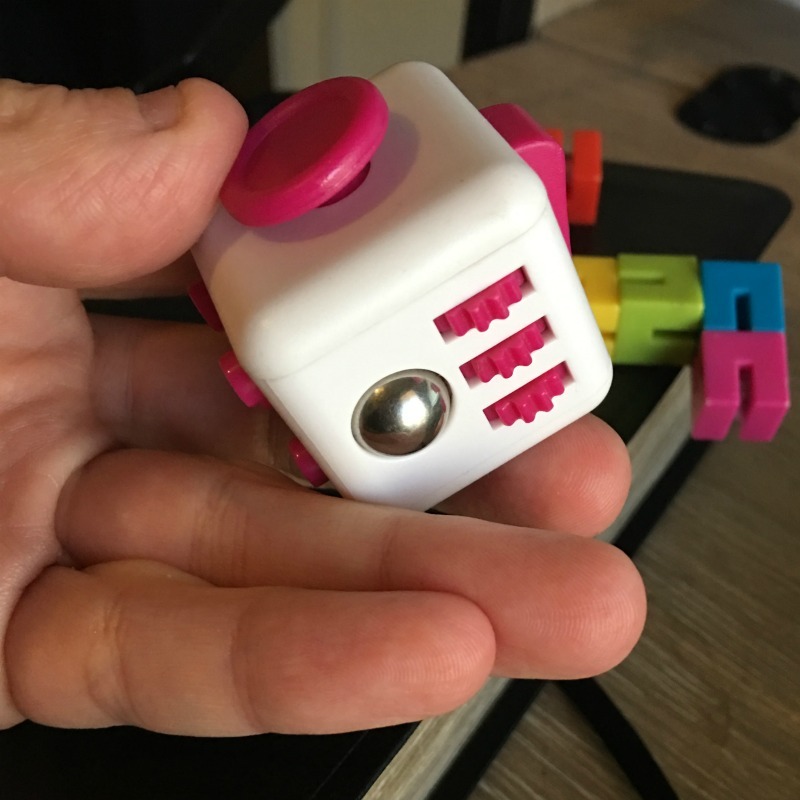 The 6-sided fidget cube is great, all the buttons and thingies to press just makes it a delight. This is another noisy fidget though, the clicky-clacky noise it makes isn’t the best for social situations like classrooms or church. Yes, I sometimes fidget in church to pay attention better. In church though, I take the Tangle or my new fave, Oak-a-feel (it’s at the end of this list). You can find a trich fidget cube online at Amazon and I’ve also seen them at stores like Walmart and Target. This is a fun fidget to play with. 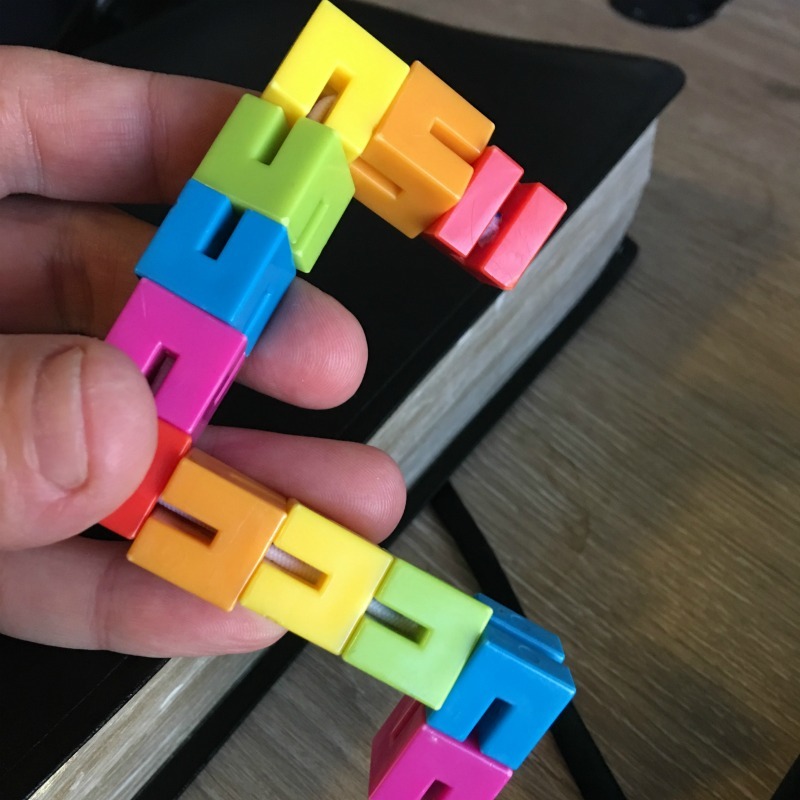 It’s considered a puzzle but the way that I play with it, it’s definitely a fidget. 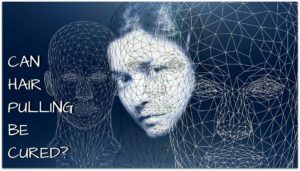 It twists and turns different ways and you can shape it too. I really like it a lot, very simple and fun to manipulate. It’s not quiet though, you can hear the hard pieces clicking together so it’s not a good one for class or public situations like the Tangle is. Tangle is my uber favorite, it’s why I listed it first. The Flexi-Puzzle I’ve seen at different stores, including Walmart and online at Amazon. I like my magic putty, it’s fun to squeeze in between my fingers which I find very soothing. The only thing about putty is I want to eat it. I have this thing with putting things in my mouth so I have to be conscious of myself so I don’t start biting on it. 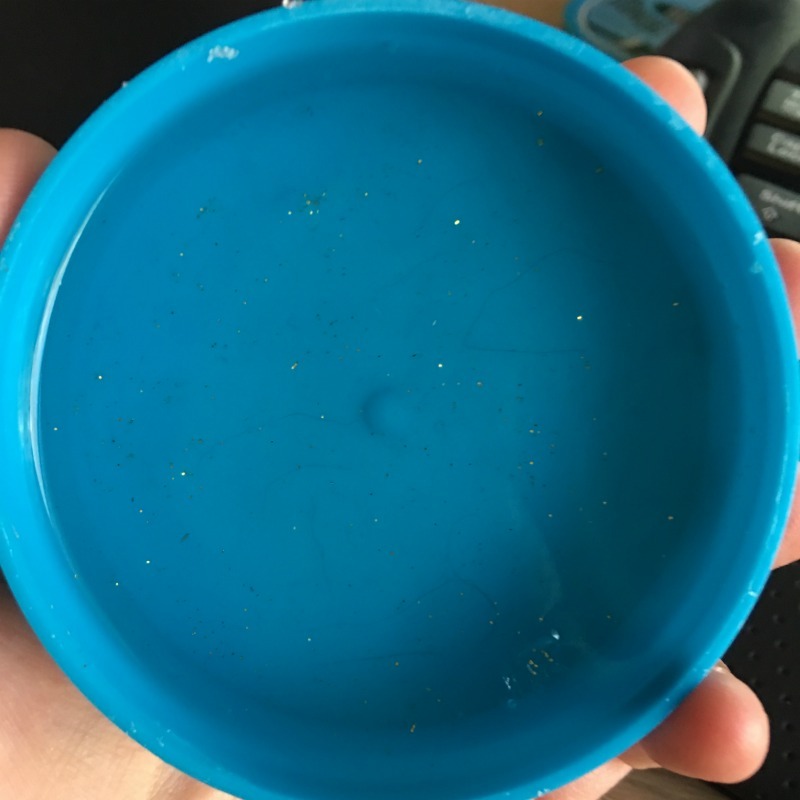 Funny thing about this putty (the clear one) is that it looks all gross when you start mushing it up but once you leave it in the container for awhile, it goes back to normal. So clear you can almost see my dogs hair in it. I got my putty on Amazon because I wanted clear, the clear one is a bit harder to find than the colored ones so I just went online for mine. These little guys are actually for stop animation movies but I love to bend them and twist them all up. They have little suction cups on their hands and feet so you can really have some fun with them. They bend in all sorts of ways and you can stick them to things. It bends similar to the Flexi-Puzzle. These little guys are also at Walmart, Target and online at Amazon. 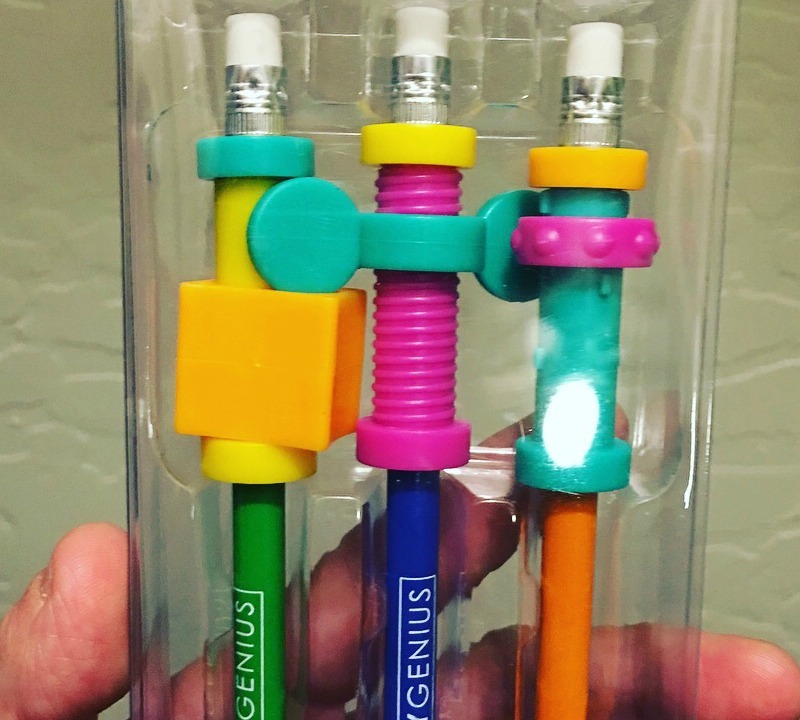 These were something I had never seen before, fidget pencil toppers. I of course had to buy some because I have a habit of eating the end of my pens and I thought maybe this would help with that as well as distracting me from hair pulling? My only con with these is that they need more “fidget” to them. I can only make the little thing go up and down so many times before I want something else to play with. I wish they would make a fidget pencil combo that had some features from the cube to it. I’ve also thought about how awesome it would be to just add a hair tassel to the end so I can just rub my face with it. I got these fidget pencils at Target but they were sold out when I went back for more and I haven’t seen them again since. I would check Amazon if you want some of these. These are another favorite because look it at that squish!! It’s looks like big pimples and I love it. 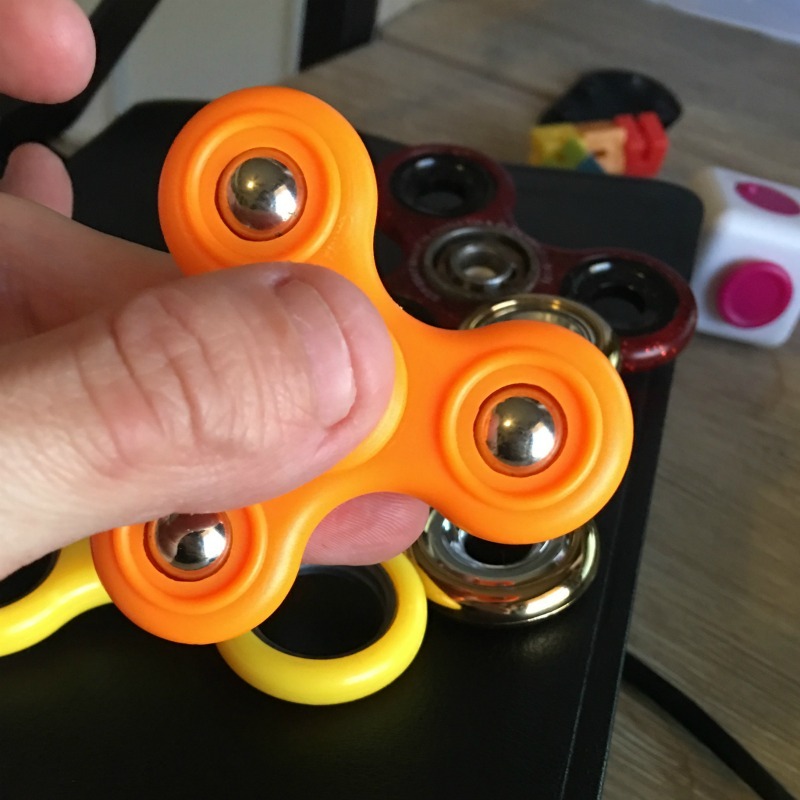 My 11 year old son turned me on to these, he loves to fidget too. 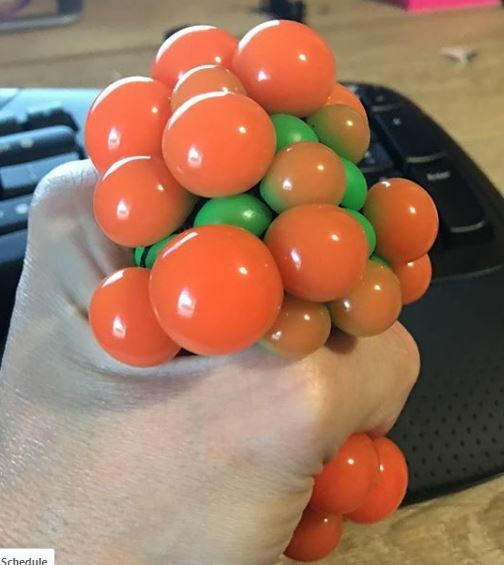 These squishy balls are sold in bulk, probably because the pop sometimes. 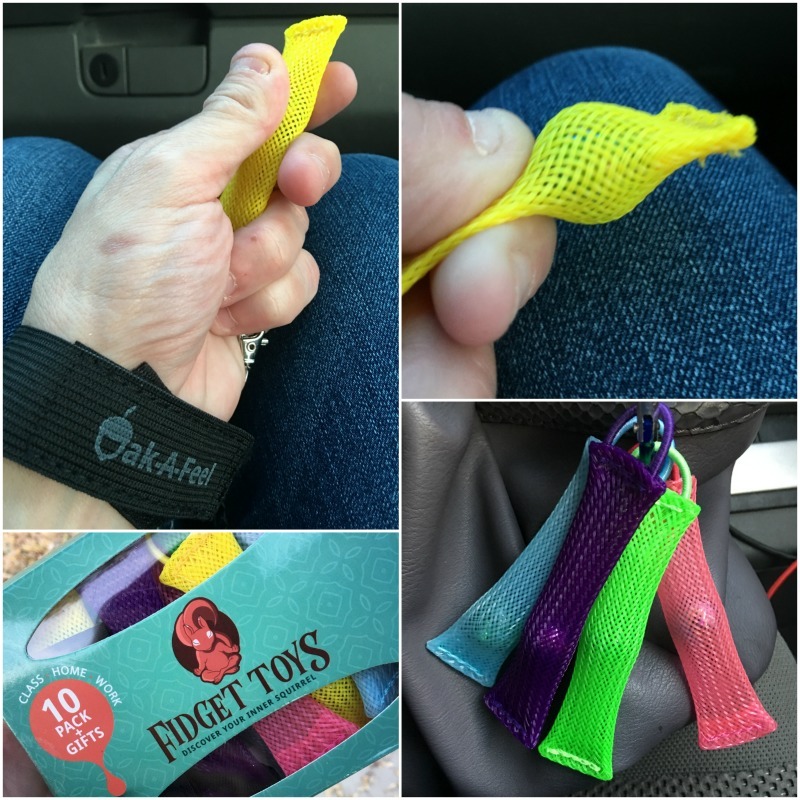 Oakafeel Fidget Toys – So AWESOME! These are new for me, they were suggested to me from Mary in our private group on Facebook. I was sharing my fidget toys and she brought up this one which was one I hadn’t seen before. I bought it that day because if you heard her talk about it, it’s the best fidget she’s ever had because there’s so many ways to feel and fidget. I do not have them yet, I’m still waiting for them – it won’t come for 3 more days. I’ll update it when I get them and fidget them for a bit,but I wanted to be sure to let you know about them because she was over-the-top stoked about them. UPDATE! These things are RAD!!!!!!!!!!!!!! Talk about memorizing! I wish I could show you what I mean but it’s hard without actually having one in your hand! I may move these up to my second favorite fidget toy ever, I still love Tangle more. The best thing about them is EVERYTHING. I really love how the light hits the little marble inside when I’m in class, it makes it look like a diamond in there. I sat in a meeting the other morning for an hour with these and it was fantastic! They are quiet and fit in your hand so no one even really knows what you’re doing. Great for adults as much as kids! I bought Oakafeel fidget toys on Amazon and they’re so cool my 11 year old son took half of them already from me. This one is on my wish list. It’s $16 and I just got the one listed above so I have to cool it on my toy purchases for a week or two, you know? But this is my next purchase fo sho because look at it! It’s hair to fidget with and I love the braid for some additional texture! Again, I’ll report back but I wanted to tell you about it because dang, it was a cool find over on Etsy. I didn’t even know people kept horse hair. 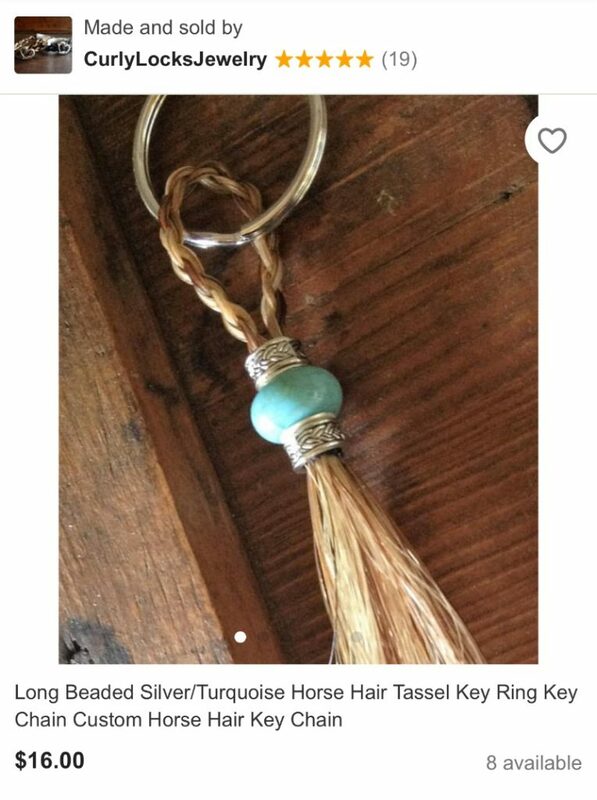 I found this cool hair tassel on Etsy. I have never seen anywhere else that does this. 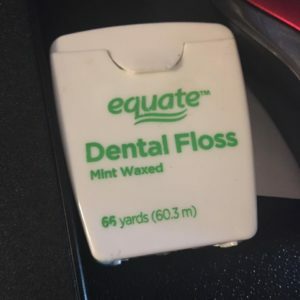 I spent a lot on getting my teeth fixed this year and one thing I got in the OCD habit of was flossing. Flossing requires both hands and it keeps me obsessed scrapping plaque on my teeth instead of pulling hairs or picking skin. 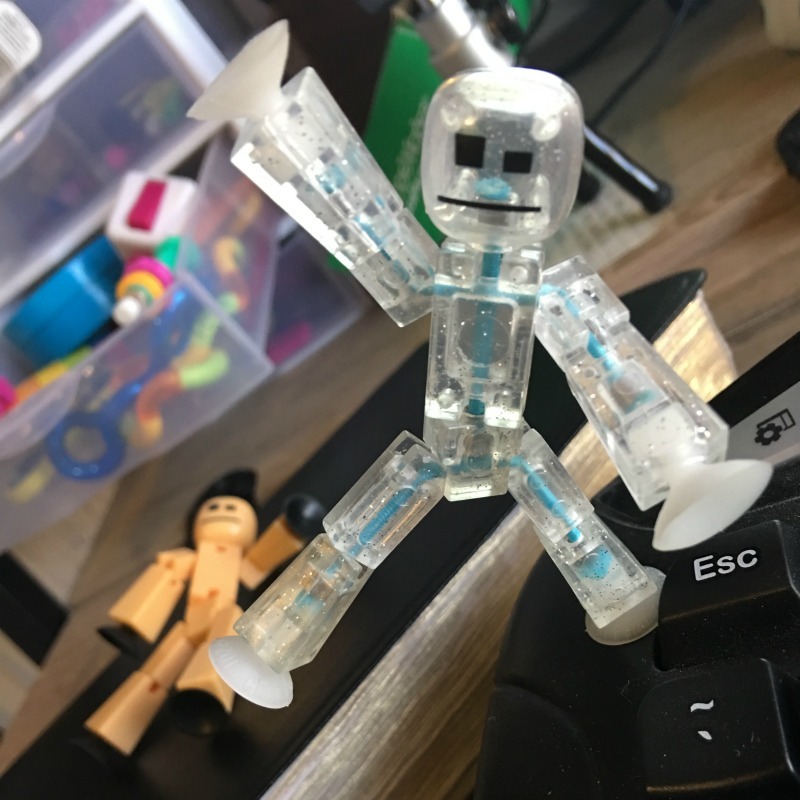 I work at home so to floss at my desk is no big deal, but even if you can’t floss at your desk, bring some floss because its a cool fidget. Take a long piece like you would if you were gonna floss and then just twist it up in your fingers like a coarse piece of hair. I think you’ll find that you like how the floss feels if you twist it all up in your fingers, at least I do. 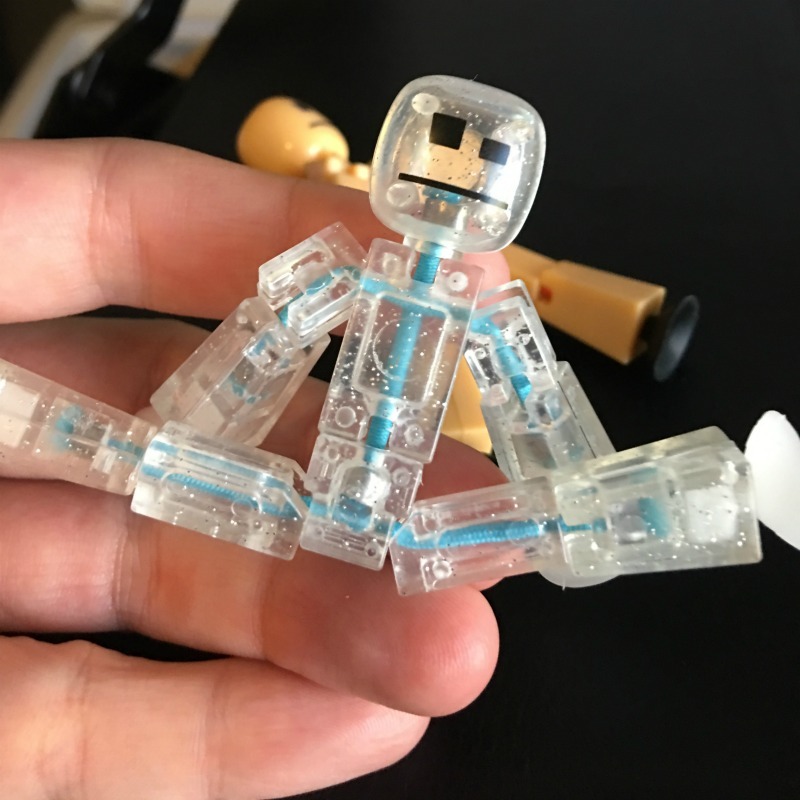 It’s not really a “fidget” toy per say, but I thought it was something worth mentioning. This is an ever growing list, as I expand my collection and hear about other fidget toys that help Trich, I’ll report back. I also would like to do a video of them all so you can see how they work! 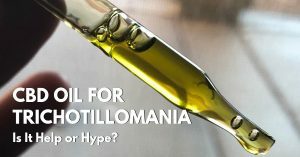 So that’s in the works soon!